We were lucky enough to have a visit with Julian Kynaston, Illamasqua’s Founder and Joint MD last week. It was a bit of a whirlwind trip, but Julian was able to visit both the Melbourne and Sydney counters, and to meet most of our staff at a wonderful drinks night on Wednesday. Julian started his visit by meeting with our PR agency and doing a number of Press interviews. 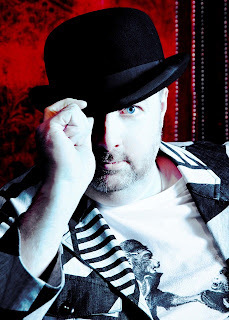 It was fantastic to meet him in person and to hear about all the exciting things coming up – we even got some exclusive news! On Wednesday we all met up at the Back Room, a very groovy little bar with a speakeasy feel, for a cocktail party to celebrate Julian’s arrival. Counter staff, including Tiarah Ormsby,Brisbane Counter Manager, who had flown in specially for the occasion, some of our favourite Sydney bloggers, and key friends of the brand, such as makeup artist Nicola Burford and celebrity manicurist, Mandi Levanah were all there to toast to Illamasqua’s success of nearly a year of being in Australia. It was a fabulous evening, and wonderful to see so many friends of the brand in one spot. 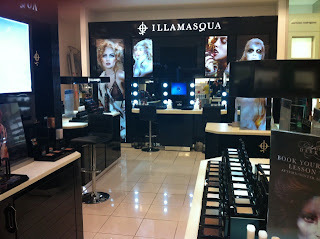 Then it was off to Melbourne to visit the Illamasqua counter there and to meet up with the amazing Melbourne bloggers who have been so supportive of Illamasqua since we started. Even though it was quite literally a dark and stormy night, lots of bloggers made the effort to come out and meet Julian. Jacie from http://www.youvegotnail.com shot this fantastic video. Julian impressed everyone he met here by his vision, his purpose, his commitment to SOPHIE and the upcoming plans for Illamasqua. Just named as the fastest growing makeup brand EVER Illamasqua shows no signs of slowing down soon, and there are certainly a lot more exciting things coming up in the pipeline.